David Emery is an Aussie cicada expert. 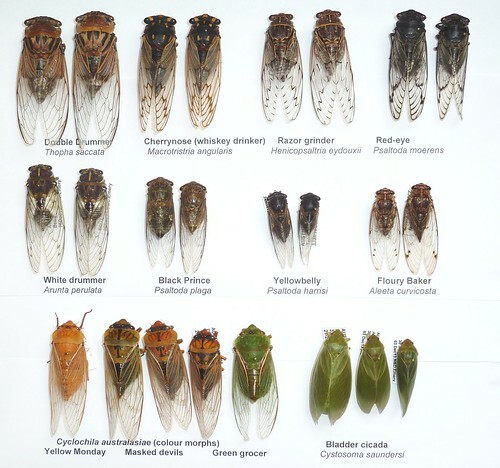 His image of 10 common Aussie cicadas is an excellent visual guide to cicadas found in Australia. Also, check out L. Popple’s Australian cicadas: The cicadas of central eastern Australia for dozens more, including sound files as well as images. And, here’s more images of Aussie cicadas and their interesting names.